The summer series of meetings at Cathedral City Toastmasters just keeps on rolling, with tonight’s schedule planned and executed by our club president, Dave Brierley. He first introduced the grammarian for the evening, Luke, who gave us the word of the day: “prolific”. Luke recited some definitions and gave us example uses of the word. He also left a toy bunny on stage as a reminder of how bunnies tend to produce offspring in a prolific manner! 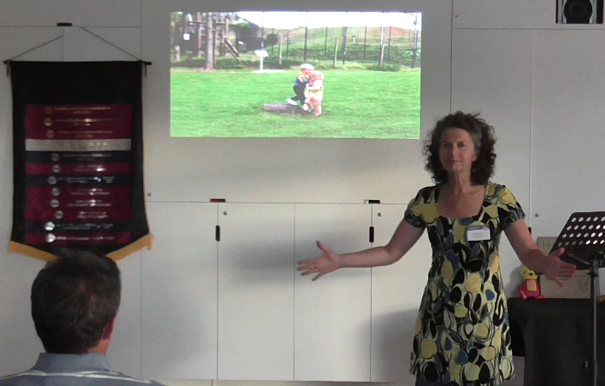 The first speaker of the night was Jan, who was completing an advanced project from the entertaining speaker manual. Jan told us a story from many years ago where two of her friends thought it would be funny to obtain fake guns and wear balaclavas in order to scare/prank a third friend. Unfortunately, walking down the street with their chosen props caused the police to arrive in a timely fashion. I’m sure they learned an important lesson that day! Next to take the stage was Ade who gave a toast to her son, Sam, who recently turned 21. To further emphasise her vivid story-telling, Ade had a slideshow of images play in the background. Techniques like this can help the audience to visualise who the speaker is talking about, and in the case of Ade’s speech tonight, helped to transport us all back in time to witness Sam growing up. 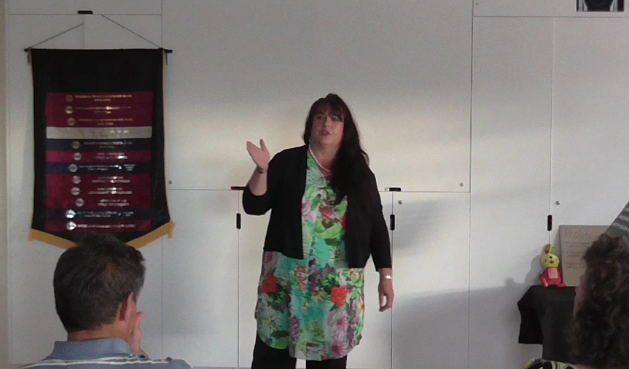 The final speaker of the night was Ellie, who presented an educational on how to organise a Toastmasters club contest. With our next contest coming up in a few weeks, this was a very timely and useful summary of what is involved with organising and running a club contest. Table topics were run by Gary, who came up with an interesting twist on a classic idea. Each participant had to talk about a relatively simple topic, eg. what they did on the weekend, but to make it more difficult they had to include as many words starting with a particular letter of the alphabet as possible! To make things a little bit easier, our Toastmaster Dave stood at the back of the room with cue cards containing potential words that could be used. Well done, Gary, you always manage to challenge us in new ways! The evaluations tonight were given by Sanna, Steve, Jane and Dave Young, and the timer for the evening was Eva. ← First Night Back for the Year!